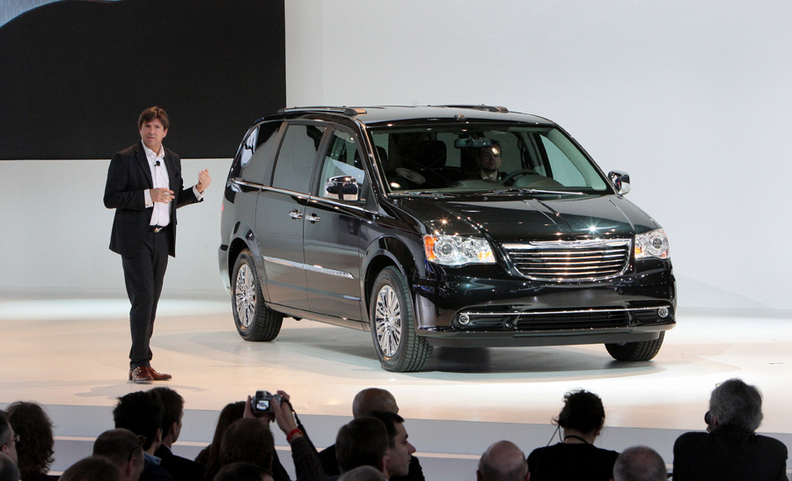 Chrysler showcased the updated 2011 Town & Country minivan at the Detroit auto show this week. DETROIT -- ZF Friedrichshafen AG will supply a nine-speed automatic transmission for the Chrysler Group LLC's minivans starting in 2013 — the first adoption of a nine-speed gearbox for a mass-market vehicle. Michael Paul, a member of ZF's board of management, said the German supplier will produce the transmission at its plant in Greenville, South Carolina. The announcement offers more evidence that Chrysler wants to leapfrog its mass-market rivals, rather than simply match the industry's adoption of six-speed automatics. Last summer, Chrysler said that it would use ZF's eight-speed automatic in its rear-wheel drive cars. The eight-speed is expected to improve fuel economy by 25 percent over a standard five-speed automatic. Paul said the nine-speed would improve fuel economy by double digits. “This will be a major step for front-wheel drive cars in terms of fuel economy,” he said. However, he added that conventional automatic transmissions may be approaching the upper limits of fuel economy improvements to be achieved by adding more gears. To improve fuel economy further, automakers and suppliers might develop other types of transmissions, Paul said.